James Enge is an instructor of classical languages at a Midwestern university. Here’s his website. Morlock Ambrosius — (2009-2010) Publisher: Behind the King’s life stands the menacing Protector, and beyond him lies the Protector’s Shadow… Centuries after the death of Uthar the Great, the throne of the Ontilian Empire lies vacant. The late Emperor’s brother-in-law and murderer, Lord Urdhven, appoints himself Protector to his nephew, young King Lathmar VII and sets out to kill anyone who stands between himself and mastery of the Empire, including (if he can manage it) the King himself and his ancient but still formidable ancestress, Ambrosia Viviana. 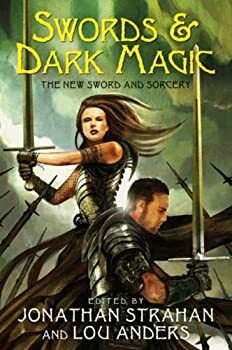 When Ambrosia is accused of witchcraft and put to trial by combat, she is forced to play her trump card and call on her brother, Morlock Ambrosius — stateless person, master of all magical makers, deadly swordsman, and hopeless drunk. As ministers of the king, they carry on the battle, magical and mundane, against the Protector and his shadowy patron. But all their struggles will be wasted unless the young king finds the strength to rule in his own right and his own name. "The King was screaming in the throne room when the Protector's Men arrived" — and with good reason. The King, Lathmar, is about twelve years old when his "Protector," Urdhven, decides to seize the throne. Urdhven captures Lathmar and his many-times-great-grandmother, Ambrosia Viviana (a daughter of Merlin — apparently the Merlin of Arthurian legend — who's therefore exceptionally long-lived), but not before they send word to Ambrosia's brother, the infamous Morlock Ambrosius. Together, Lathmar, Ambrosia, Morlock, and Morlock's dwarven apprentice plot and battle to preserve Lathmar's rule, not only against the Protector, but also the sorcerer behind the Protector, a shadowy figure whose horrific plans reach beyond the realms' government and into the soul of every citizen. Already an exile, Morlock Ambrosius is now also officially an outlaw in This Crooked Way. Winter finds him wandering when his horse, Velox, is stolen. 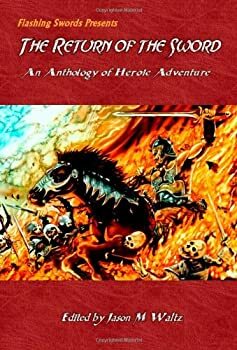 Previous adventures have earned Morlock’s loyalty to the mystical steed and it’s apparent that the horse theft is a tactic to lure Morlock into a series of traps orchestrated by an enemy from his past. So into the dangerous pass called the Kirack Kund — dwarvish for "The River of Skulls" — The Crooked Man goes. This quest will end up lasting several years in which Morlock encounters golems, monsters, rival sorcerers, insectoid tribes, thieves, street gangs, and dragons, and even sort of adopts (or perhaps is adopted by) a misfit family. One of the challenges of having read a fair amount of fantasy is that I find myself comparing the novels I’ve read. I look for similarities between books, characters and storylines. 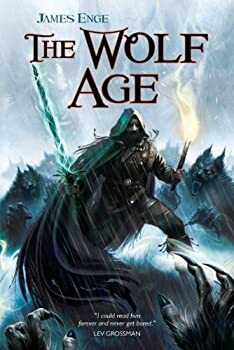 James Enge's The Wolf Age is built around the anti-hero who rebels against the existing order, a well used archetype. Fortunately, Enge still manages to put his story together in such a way that makes for a compelling read. 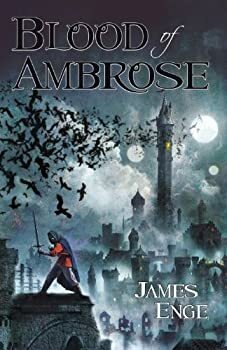 I just finished James Enge’s epic fantasy A Guile of Dragons, the first book in the TOURNAMENT OF SHADOWS series. This was an enjoyable read. Enge plays with traditional tropes, dragons, dwarves, wizards and heroes, but he puts a refreshing spin on the classic images. There may be dragons and unicorns (yes, there is a unicorn) but they’re not exactly what you’re used to. 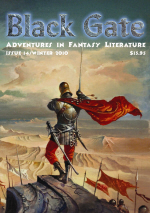 Black Gate has been published irregularly (sometimes only once a year) since 2000, but I’ve only just discovered it. And what a time to do so! The Winter 2010 edition, Number 14, is 385 pages long, the size of a hefty book. The price reflects that; few magazines will run you $15.95 in the print edition ($8.95 for a PDF version that doesn’t translate well to Kindle). 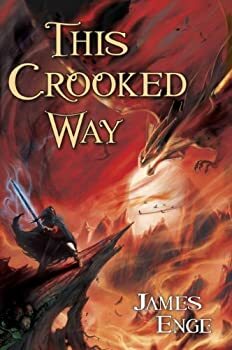 But then, few magazines will give you as much great fantasy as this one, including first stories by four promising new authors.